This view is to the west, the road takes a sharp turn and meets US 50 just past the bridge. Even the Interstate is still treacherous here today. 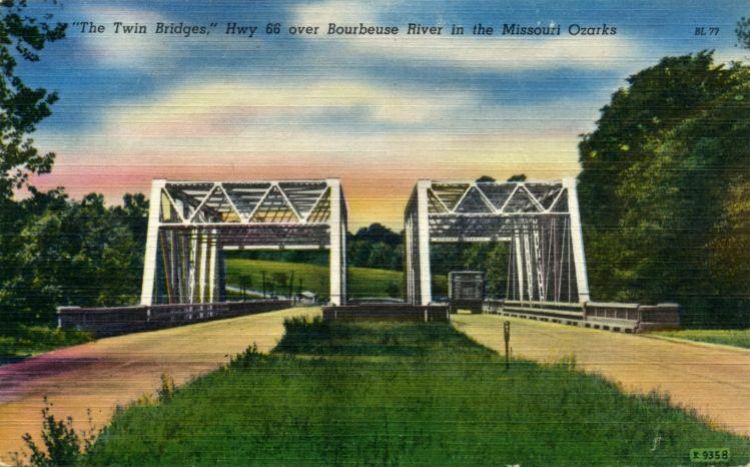 The I-44 bridges are currently (2009) being renovated and there are plans to resconstruct this part of the Interstate.